With the popularity of the Firebirds growing each year, Pontiac made a drastic change in design in 1970. A sleeker front end, and available with a lot more power. The 455 and 455 SD (super duty) were now available in early model Trans Ams, packing a ton of torque, as all Pontiac motors did. 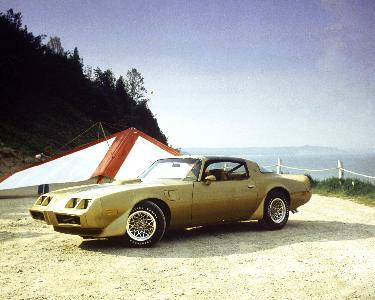 Many different engine combinations and interior/exterior color combinations were available, making your Firebird unique. In 1978, a motion picture "Smokey and the Bandit" came out in theaters forever etching the Firebird Trans Am as one of the greatest muscle cars. Sales after the movie rose to a record high 200,000+ in 1979. As the gas crisis started to rise, the larger displacement engines were dropped in favor of more fuel efficient engines. But Pontiac wasn't going to let small displacement engines ruin performance. In 1980, Pontiac revealed a Turbo Trans Am, which included a Garret Turbocharger on a 301 cubic inch Pontiac engine, which offered favorable fuel economy and power. The above information is deemed correct, but not guaranteed.